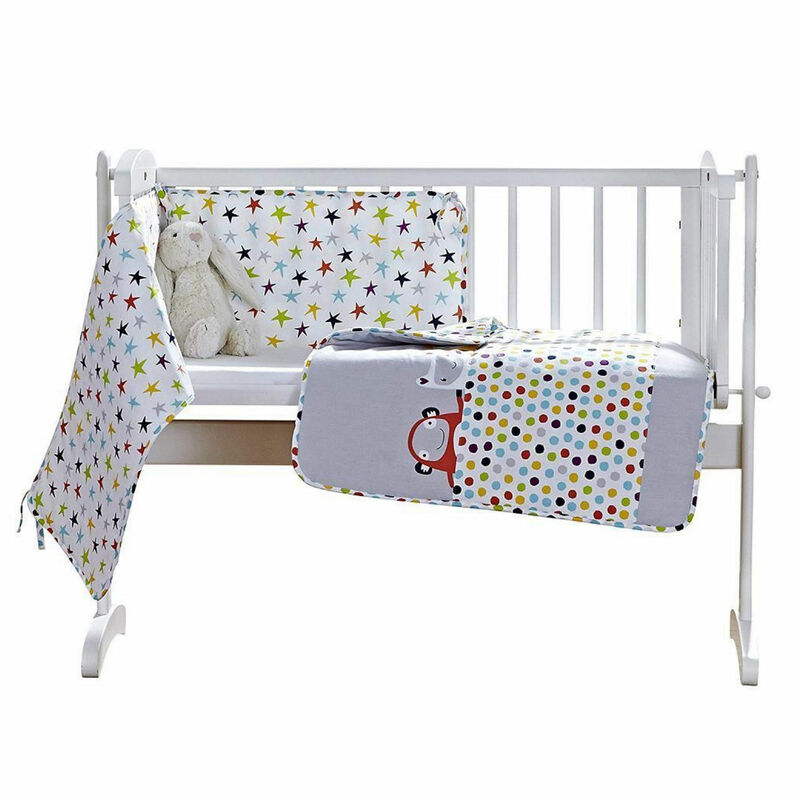 The Clair De Lune Grey / Brights 2pc crib set includes both quilt and bumper and is sure to sit beautifully on your chosen crib / cradle, increasing levels of comfort and making your nursery an extra special haven. 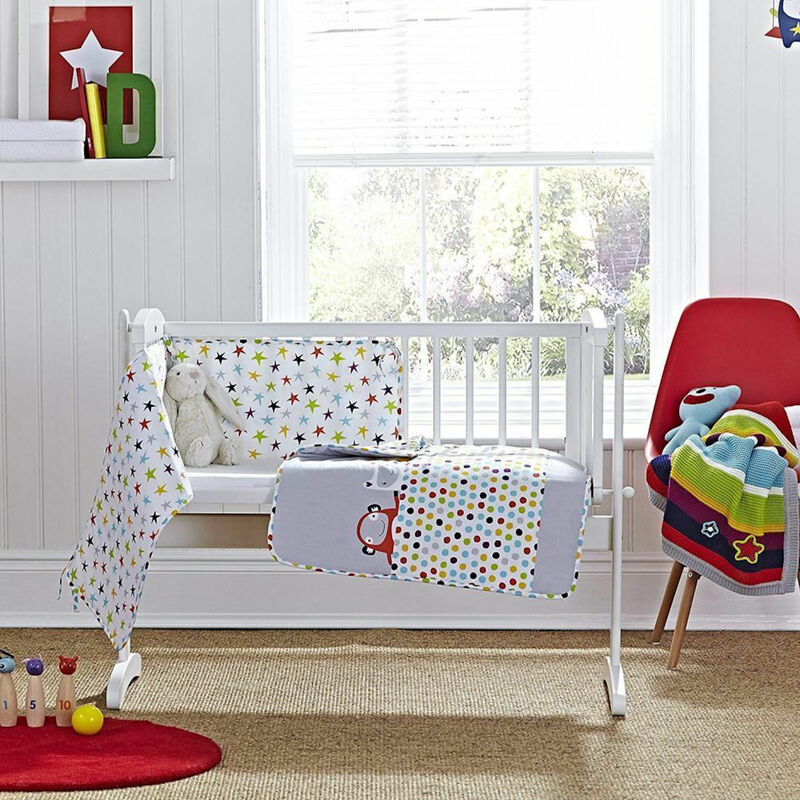 This set features adorable characters on a beautiful background. 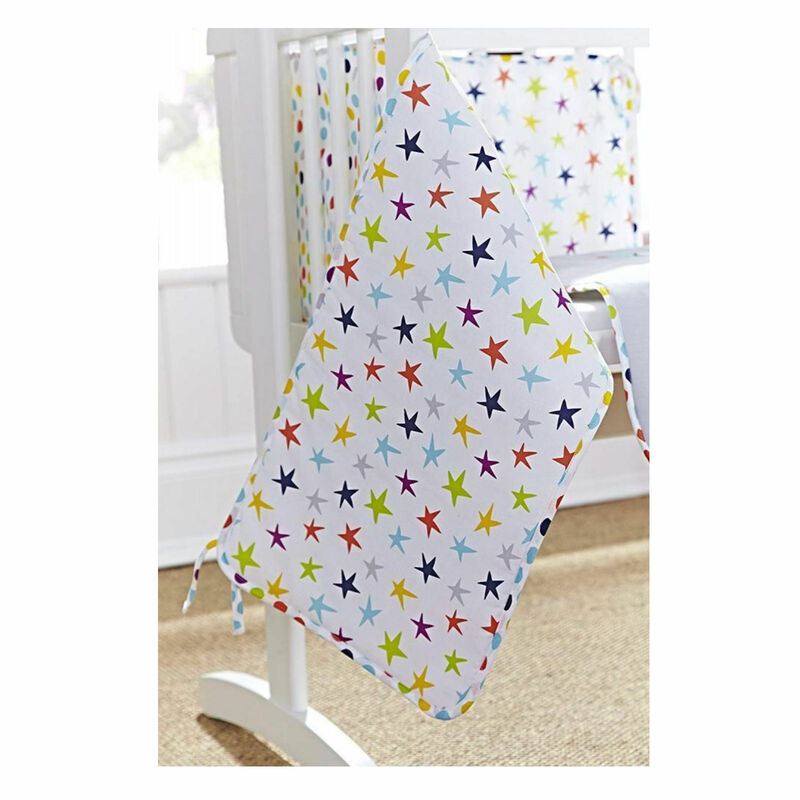 The reverse is lined beautifully with a star design in multicolours. 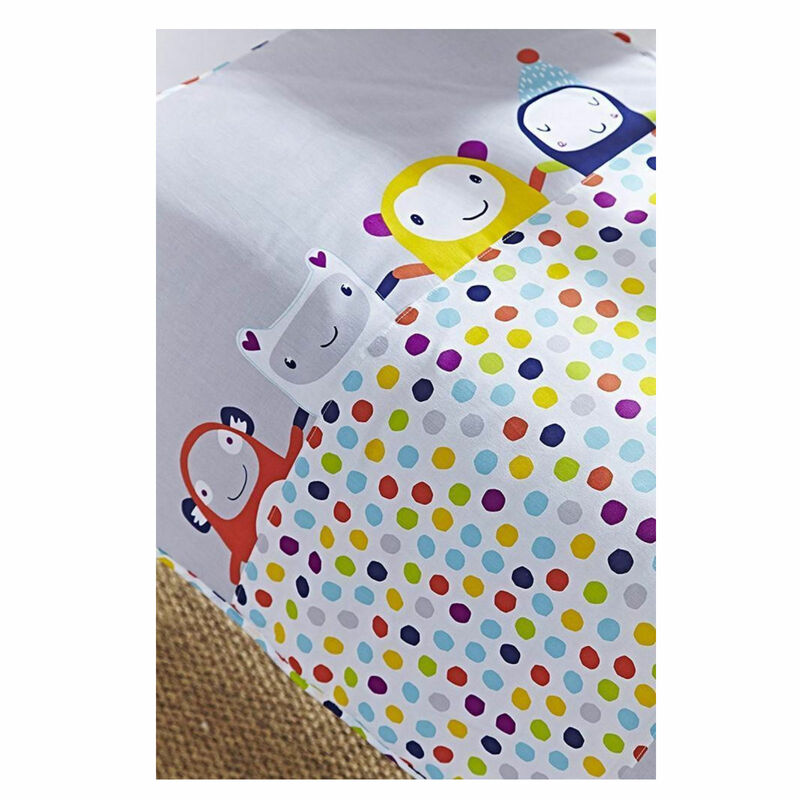 Designed with soft cotton fabric, this bedding is finished perfectly in a contrasting star and polka dot, perfect for your little ones Nursery.